Around 1963 George was working at George Rudolph's Trailwise/Ski Hut in Berkeley, California. Soon a fellow named Bob moved into town with job references from Holubar Mountaineering in Colorado... Bob got hired on at Trailwise, and they became co-workers. In 1965 Bob and George left Trailwise and set themselves up at 137 Tewksbury in Point Richmond as "Sierra Designs." Soon they were sewing day and night to create enough "product" to keep a roof over their heads. Times were tough for the next several years after their October 1965 official opening. Their very first catalog was produced the following spring and entitled the "66-67" catalog; George recalls that it was printed as a "very modest run of 2,000 copies." 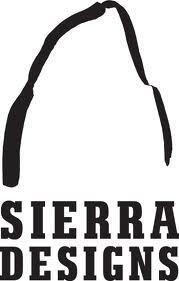 Their first and largest account was with The North Face retail store, for which they manufactured down items that were labelled "Made Expressly for North Face by Sierra Designs."